Alphabet announced that they will be shutting down Google+ for consumers. They are going to continue Google+ for enterprise customers (meaning businesses). This decision comes after the Wall Street Journal reported that Google exposed the private data of hundreds of thousands of users of the Google+ social network. The Wall Street Journal says Google became aware of this last spring, and opted not to disclose the issue at that time. I’m not really surprised by the decision to shut down Google+. 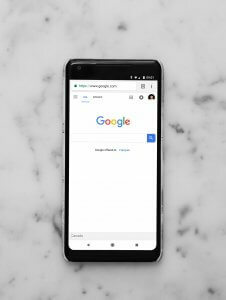 Recently, Google announced that when someone using Chrome logs into a Google service or site, they would automatically be logged into the Chrome browser with that user account. Matthew Green described this as a “forced log-in policy”. The first thing I did when I heard about that was delete Chrome off my computer, and remove the Gmail app from my phone. A bit later, I deleted everything that I’d put on my Google+ account. I suspect I’m not the only one who reacted this way, because Google posted updates based on feedback in a blog post that I did not find to be persuasive. This was followed by the announcement that Google+ for consumers would be shutting down. The shutdown of Google+ for consumers will take place over a ten-month period. This allows whoever is still using Google+ to have the opportunity to download and migrate their data.